It's finally starting to look a bit more like spring here in the northeast, which is giving me major motivation to spruce up the deck. One place we were lacking, though, was in the pillow department... it can be difficult to find outdoor pillows with personality. So I made some, of course! 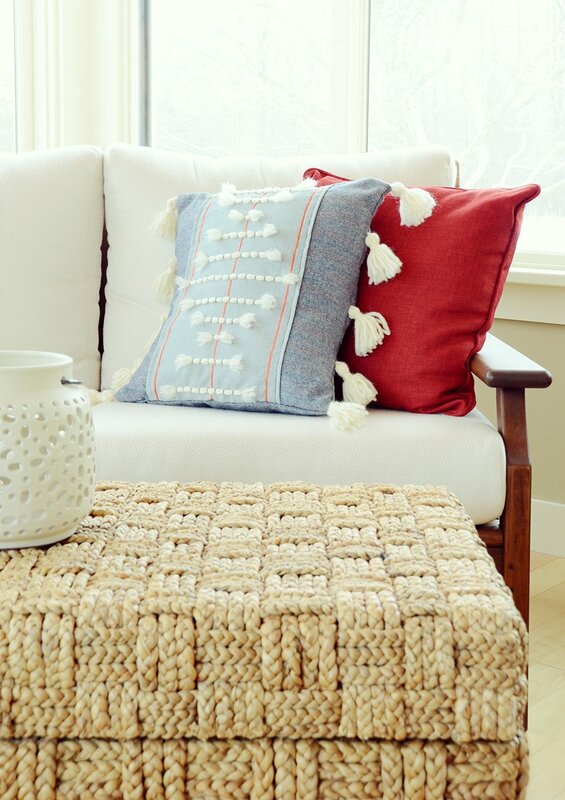 Click through to check out the full tutorial for these fun loopty loop outdoor throw pillows. Eye spy a trend popping up all over the internet lately, on everything from textiles to phone cases to kitchen accessories... the all-seeing eye! Inspired by historical designs like the Eye of Providence and Olle Eksell's One Eye, it's a bold motif with a lot of fun variations so it really lends itself to DIY projects. So today I'm sharing ten of my favorite eye-covered products and DIYs... click through to check them out.